Muhsin Al-Ramli is an Iraqi-Spanish writer, poet, academic and translator, born in northern Iraq in 1967. He has lived in Madrid since 1995 and received his doctorate in Literature and Philosophy from Madrid University. He writes in both Arabic and Spanish. Since 1985, he has worked as a cultural journalist for the Arab, Spanish and Latin American press, and has translated many literary works from Arabic into Spanish and vice versa. He has published more than thirty books, ranging from short stories to poetry, plays, translations and novels. His novels include: Scattered Crumbs (2000), whose English translation won the 2002 American Translation Award sponsored by the University of Arkansas Press. His novels Fingers of Dates (2009) and The President’s Gardens (2012) reached the IPAF longlist in 2010 and 2013. The English edition of The President’s Gardens won the 2016 Pen Translates Award. 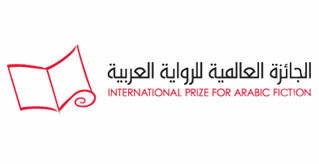 His novel The Wolf of Love and Books (2015) was shortlisted for the 2015 Sheikh Zayed Book Award. His most recent book is Children and Shoes (2018). Most of his works have been translated into other languages. He is the co-founder (in 1997) and co-director of the publishing house and philosophical and cultural review Alwah in Spain, and has run creative writing workshops in Spain, Mexico, Kuwait and the UAE. He currently teaches at Saint Louis University, the American university in Madrid.